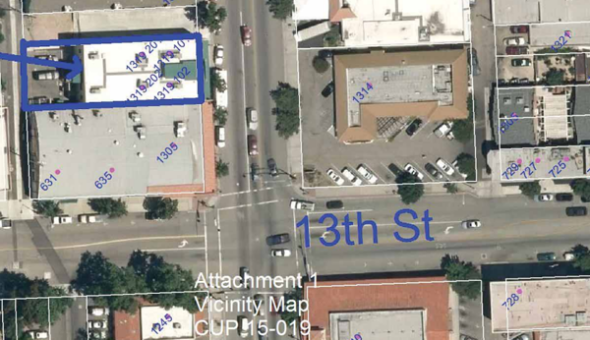 It was great to see a local entrepreneur bring his proposal for a new billiards hall to Paso Robles. The Paso Robles Planning Commission approved his request unanimously. He is planning on opening on the second floor of Art Bridge’s gun shop on Spring Street. The building was rebuilt after the 2003 San Simeon earthquake left is destroyed. The second floor has been vacant ever since. Owner Erik Skupien expressed his desire to run a family-friendly pool hall and sports bar, serving beer. He chose the name “The Crimson Cue” to honor the Paso Robles High School Bearcats. He said he plans on filling the walls with memorabilia from the Bearcats’ history. His initiative reminded me of my younger entrepreneurial days when a group of friends and I planned to open a billiards room in my hometown of Whittier, Calif. We were going to call it “Snake’s Billiards.” We had a plan for large glass enclosure with my eight-foot Burmese Python to be on display. That is when I learned a few lessons in dealing with potential landlords, writing business plans, getting financing and seeking approval of city government. It’s probably best that we all moved on to bigger and better things, but it was a wonderful lesson and makes for great memories. I learned then that there is an unwarranted prejudice against billiards. I think it goes all the way back to the musical and movie “The Music Man“. It was the trouble in River City. “Trouble with a capital “T” And that rhymes with “P” and that stands for pool!” This prejudice has waned slightly perhaps, but is still too common. There are only a couple of pool tables in Paso Robles now, so this will be a nice addition to local entertainment. I applaud Eric and wish him the best of success! 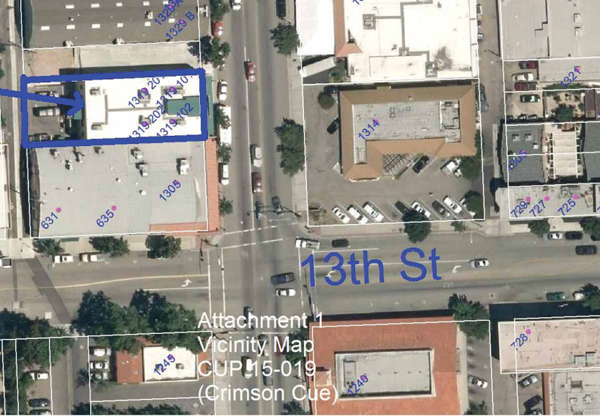 Paso Robles Daily News–At Tuesday night’s Paso Robles Planning Commission, the commission voted unanimously to approve a request filed by applicant Erik Skupien to establish an indoor sports use for a billiards club on the second floor within the existing building located at 1319 Spring Street, above Bridge Sportsman’s Center. About a dozen locals attended to show their support for the project. The Crimson Cue business would be a billiards hall that would provide prepackaged food, and would sell beer. Skupien proposed that the billiards club be open for business from 11 a.m. until 12 midnight on Sunday through Thursday, and until 2 a.m. on Friday and Saturday. The main topic of discussion by the Development Review Committee was parking. It was indicated that since the Crimson Cue would be mainly operating after business hours, the streets in close proximity to the building would be available for parking. Staff indicated that unless the commission requires parking spaces as a result of the proposed use, no additional parking is required. The project was reviewed by the police department. Since the venue would have night time activities and serve alcohol, video surveillance will be required. The department is recommending a review of the conditional use permit after six months to verify the conditions of approval are being followed. The planning commission will need to review this CUP request to determine if the proposed use is compatible in specific zone. Besides the addition of exterior signs, there is no proposal to change any of the exterior building materials or colors with this CUP request. Future signs will be required to be reviewed and approved by the DRC. The commission voted unanimously to approve the request.